Accomplish simple two steps, again small toilet can do wet depart! Toilet does not do dry wet depart, how to use how inconvenient! The toilet that again small should do dry wet depart! Toilet does not do dry wet depart, how to use how inconvenient! But the problem comes, small door toilet dry wet depart how to achieve? 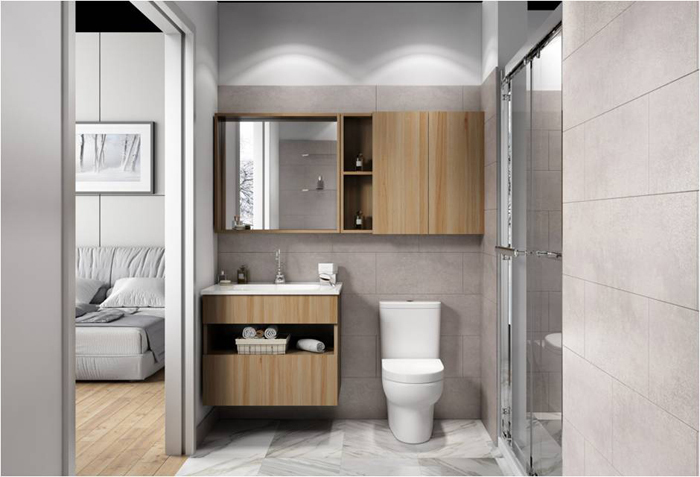 Toilet mainly divides into: bathroom ark, closestool and shower area 3 areas. 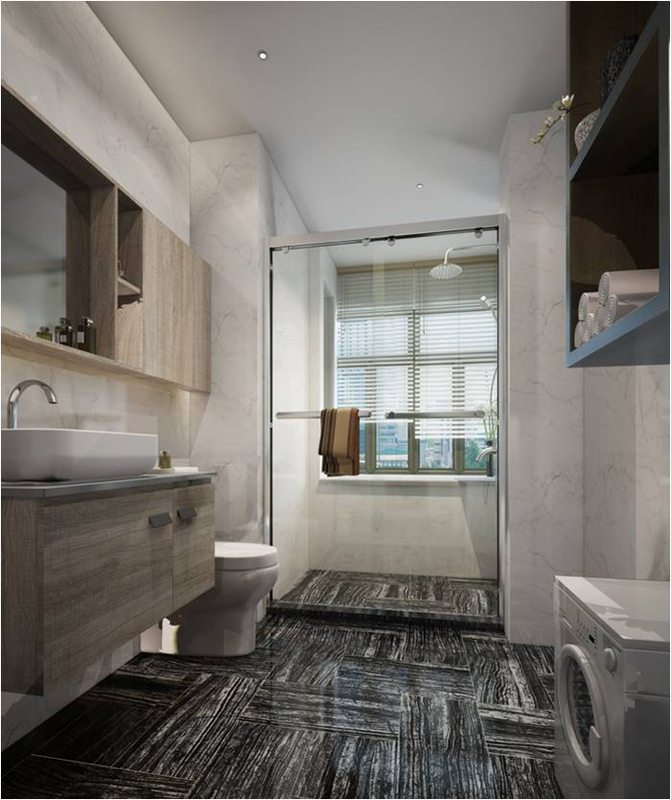 Rectangular toilet wants to do wet and dry separation, can according to bathroom ark - closestool - shower room line by line will layout. 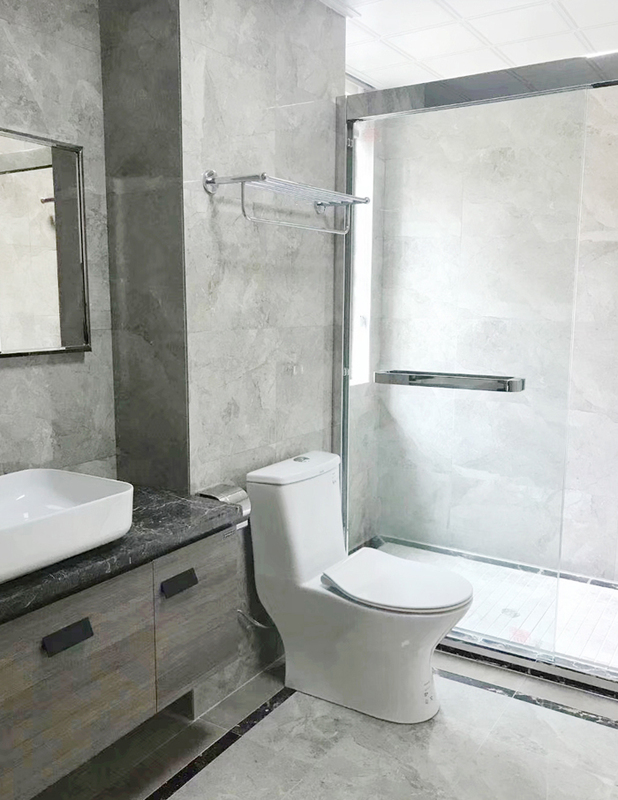 Calculate according to the minimum size of bathroom cabinet, toilet and shower area: 90cm width of shower area; The width of the toilet is 75cm, the width of the bathroom cabinet is 85cm, and the spacing is 70cm. The bathroom length is about 3.1m, and the dry and wet separation can be done in order. Square toilet means the same length and width. 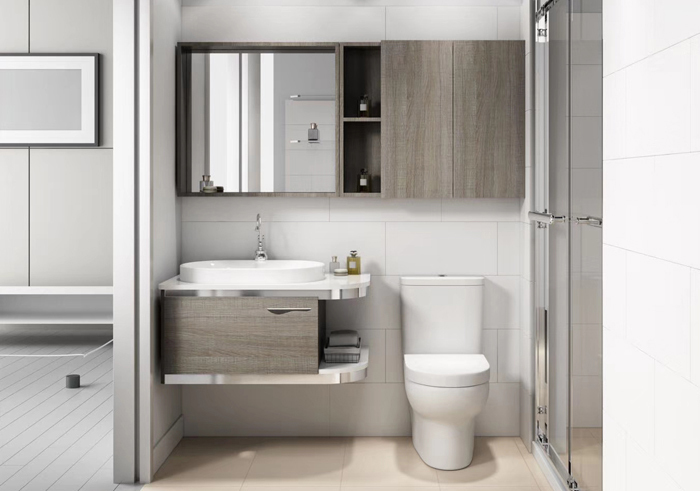 This kind of toilet should do dry wet depart, be about to make full use of every corner of square, put shower area, closestool and bathroom ark respectively the 3 corners that open a door except. Square toilet how different corner layout is about according to individual use habit. 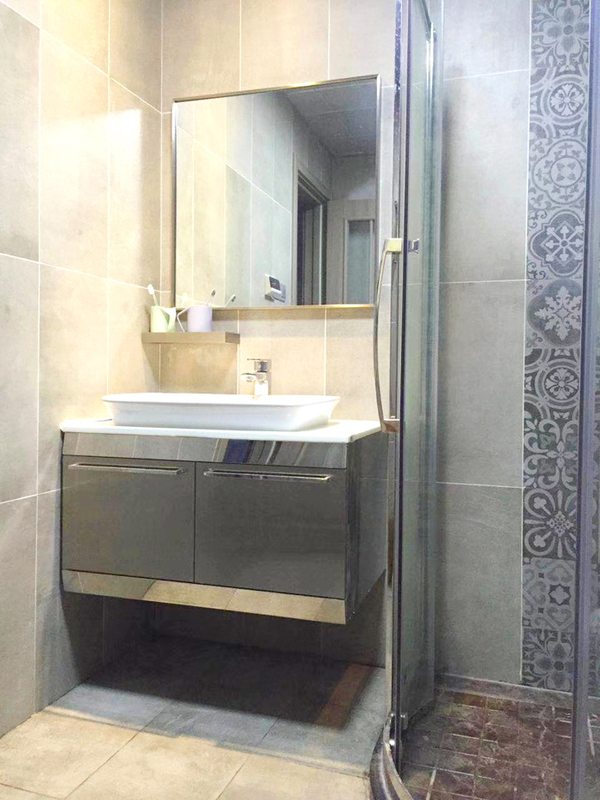 Most people turn the innermost corner into a shower area, considering privacy and opening and closing doors are not affected. Dry and wet separation basically is wet water area and dry area separate, wet water area is shower area, dry area is bathroom ark and closestool. If toilet space is insufficient, can choose to move bathroom ark so, can accomplish dry wet depart likewise. Small door toilet should do dry wet depart, the partition material that does not take a place as far as possible is qualitative. Similar to the partition wall of direct brick, do not choose, too obstructive place! Glass partition material is thin and light, compare partition wall more do not take a place. And glass partition can achieve complete isolation of water vapor, truly achieve wet and dry separation. Square toilet USES arc partition, rectangular toilet can use strip partition. 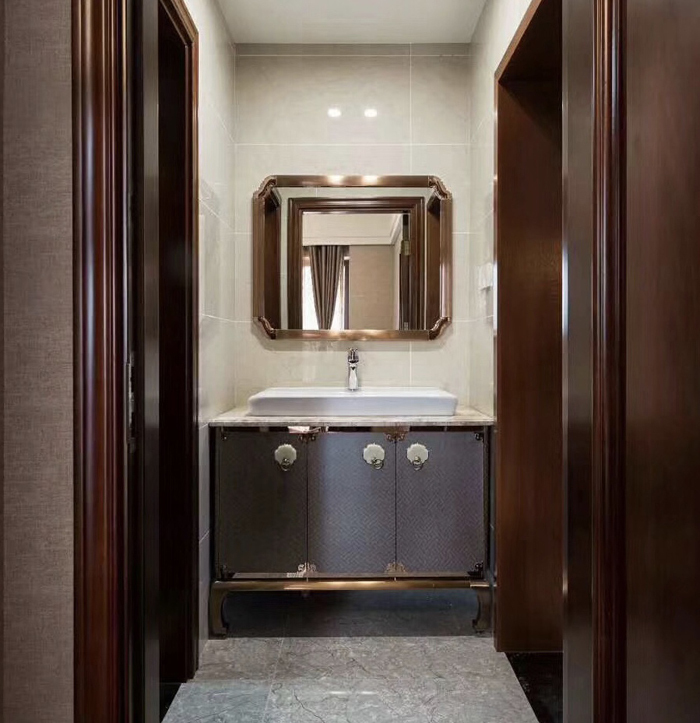 The shower area of square toilet is square normally, arc partition does not take a place quite, and arc design won't have edge Angle Angle more safe. 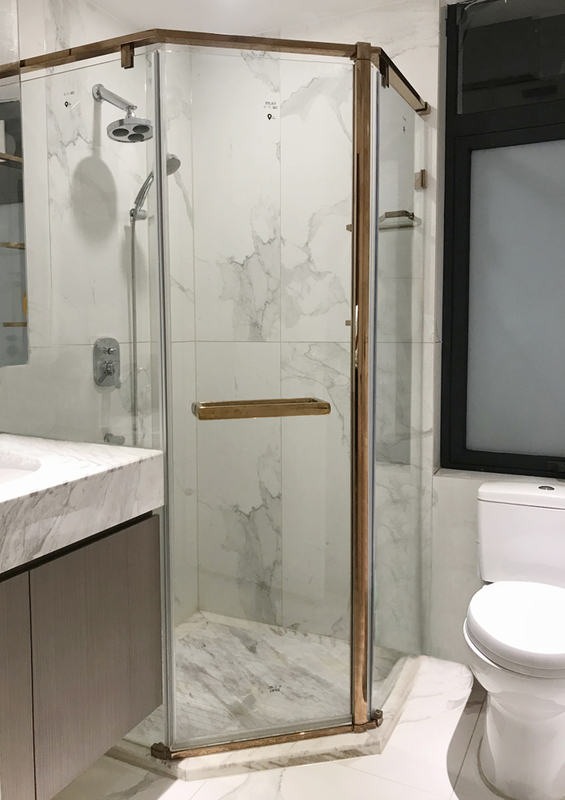 Toilet is too small really it is to contain no longer partition of glass, but dislike again toilet does not have an apparent interval, so shower area bath shade is right choice. On certain level, bath curtain also can accomplish dry wet depart. 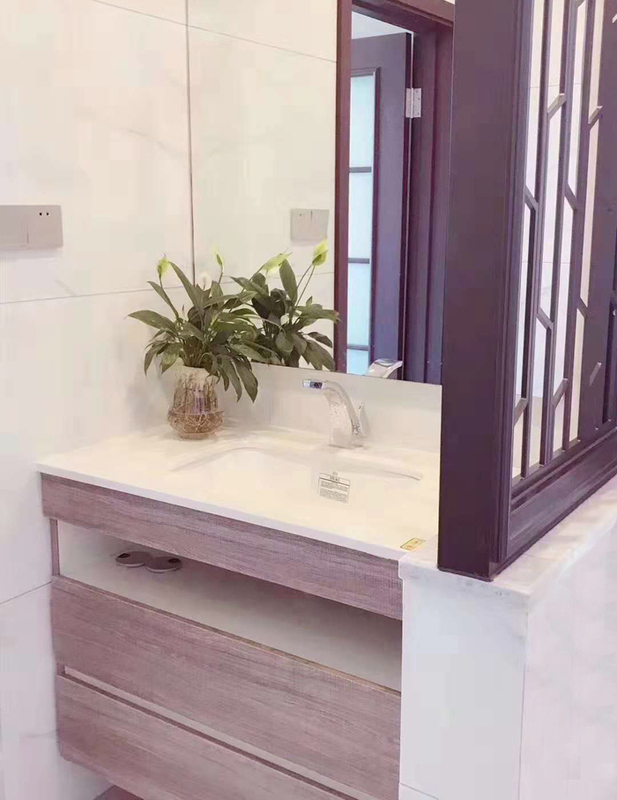 Small door toilet should do well dry wet depart, the first step is to do a good space program, the 2nd step is to choose appropriate partition material to pledge. Satisfy these two steps, small door toilet also can use comfortable! 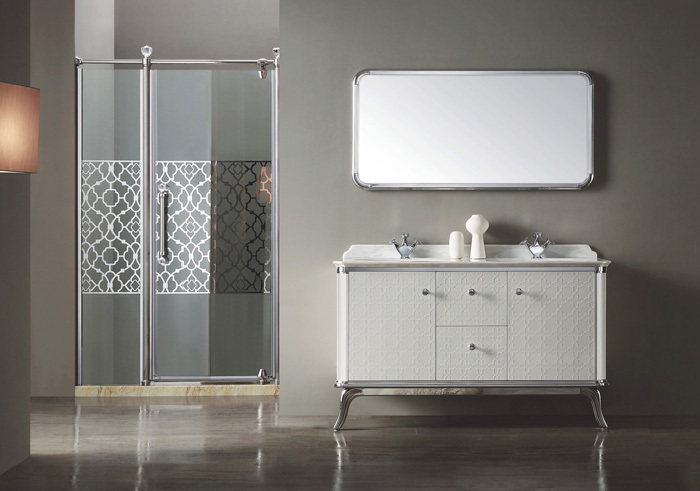 上一页：Bathroom cabinets struggle with solid wood or stainless steel? 下一页：Energy terminal, product health and new action!